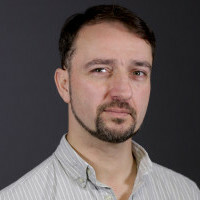 Erol Kentli is a seasoned veteran of the games industry, having spent the last 20+ years leading, managing & directing Art on a wide variety of games - the Conflict series, DiRT 2, Flashpoint, Crysis 3 & PlayStation VR Worlds to name a few. Erol has recently joined Splash Damage where’s he’s been a lead on Dirty Bomb, Splash Damage’s hit FPS shooter on Steam, and is now heading-up art on a industry-leading collaboration with Wargaming. Having had the opportunity at Splash Damage to indulge his passion for visual composition, Erol would like to share his expertise on the subject with the wider industry. The session outlines both the elements & principals of art, their use in traditional visual composition and the subsequent practical application of this to the medium of video games art. Delegates to will gain an understanding of the fundamentals of composition & the various techniques + methodologies employed in traditional art.